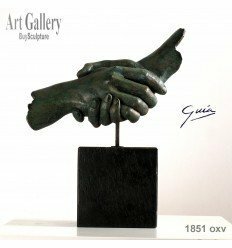 BuySculpture places at your fingertips limited edition sculptures you're sought to complete your personal collection or planned to give as a gift. In our gallery, we have a wide range of art, among which you will find limited edition pieces that form one of the fundamental pillars of our collection. Visit our online art gallery and discover the unique art we have prepared for you. You will simply want to take those limited edition sculptures with you. The unmistakable style of artists working with BuySculpture is reflected in their works, and cause our limited editions to be the most desirable. Various European artists collaborate with our gallery providing us with exceptional piece that stand a test of their quality as artists. Europeans artists recognized worldwide, reminiscent in their works to the greatest artists of all time as Dali, Picasso, Chillida, Botero or Rodin and others. 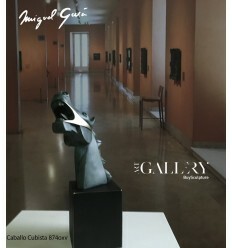 The limited edition sculptures which you may buy in our online art gallery are part of a collection of limited number of pieces and their numbering you can be easily verified. Reproductions of classics that our artists create with an absolute precision, are part of limited editions, they include the signature of the original author, so owning one of them is the closest one can be to having at home the original piece. Each of them comes with the certificate of originality and copyright number included, so you can check the value of your new acquisition. Our great artists are among the best sculptors in history, they provide us not only with their own exclusive pieces but also reinterpret such renowned works as Las Meninas by Velazquez, Kiss or Rodin Thinker. 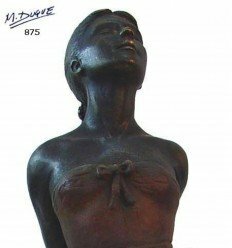 This way you can enjoy the classic works in the most current formats, signed by our sculptors whose each work certifies their worth as an artists. 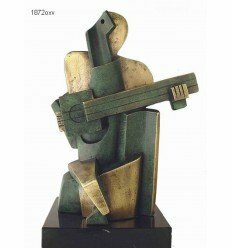 A limited edition sculpture is one of the most original gifts that you can offer, it can serve as a decorative object, but also you will be giving a quite unique piece, and therefore valuable due to its exclusivity . Limited edition sculptures can be given both to business customers as well as a personal gift to someone dear to you. 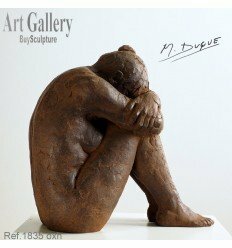 Whatever the choice, the person receiving a limited edition sculpture as those you can find in BuySculpture, will recognize the great value of this gift. When your company decides to make a gift of a limited edition sculpture, it is investing money in its image, and projecting it onto others. Giving a limited edition sculpture involves creating an air of style, knowledge and care for art and beauty that translates into boosting the image of your own firm. Exclusive works from our art gallery can be considered unique because they are part of a very low numbered editions, and so your gift will be even more valuable. There are numerous special occasion when you must make a gift e.g. weddings, anniversaries or other celebration. Consider giving a limited edition art to the protagonists of the event. Offering such a gift is a privilege. Those who receive it will be very happy and enjoy it every moment thereafter. The limited edition sculptures as a personal gift are simply success. They always remain in the memory of people who received it, and will become an important part of their lives. As said before, they are not only a beautiful decorative objects, but also part of a limited edition making them virtually unique. Our artworks come from a very small numbered editions, therefore they are limited and acquire a much greater value over time. 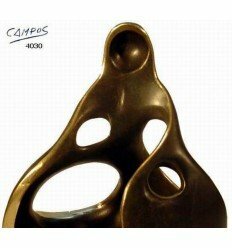 The sculptures in bronze offered by BuySculpture are therefore one of the acquisitions that appreciate over time. Each piece comes with our certificate, so each is valued more than the purchase price. All items you purchase in our art gallery are copyrighted and accompanied by the certificate of originality. Due to this the exclusivity of the artwork is even greater, as they come with all the documents and certificates which can only be seen as adding value to the piece. Should the piece be offered as a corporate gift, the limited edition certificate and number of copyright will be crucial to legitimize their authenticity. Just as a business gift with certificates is far more valuable, so is in the case of an personal present. 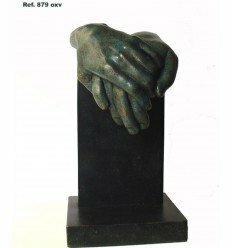 If you give a limited edition sculpture to someone close to you, whether for a special occasion, family event or any other reason, and you deliver along with the piece of art the documentation certifying its authenticity and number of copyright, the person who receives the gift will be able to recognize its value even more. 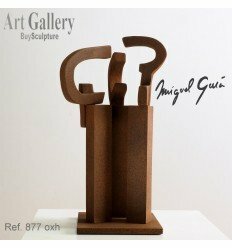 At BuySculpture we always offer the best quality art, made by European artists recognized worldwide. The precision and delicacy of each stroke is reflected in the most beautiful pieces of art on the market, and we offer them to you at our gallery. 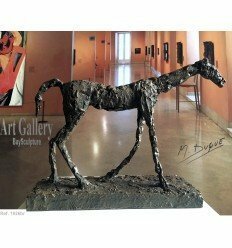 If you are looking for an original limited edition sculpture BuySculpture has it for you.